Anti-psychotic medications have been linked to potentially dangerous side effects, including an increase in the risk of suicidal thoughts; birth defects and miscarriages; and causing patients to experience severe withdrawal symptoms when discontinuing the use of the medications. While our dangerous drug lawyers know that sometimes the benefits of these drugs outweigh the risks, it is also clear that anti-depressants shouldn’t be prescribed unless the medications are truly necessary for the health of the patient. The Choosing Wisely Campaign not only calls upon doctors and patients to question whether anti-psychotic drugs are really the best treatment option, but also addresses other common yet dangerous practices, such as the use of antibiotics for colds and the excessive ordering of overly-frequent colonoscopies. The campaign is led by the not-for-profit group Advancing Medical Professionalism to Improve Health Care, and more than 50 medical groups have contributed by helping to provide a list of 50 common practices that should be questioned. The American Psychiatric Association, as part of the Choosing Wisely Campaign, has focused its attention on the excessive use of anti-psychotic medications because these dangerous drugs are widely misused and over-prescribed. As USA Today reports, many doctors and patients turn immediately to prescription drugs to make elderly patients with dementia easier to control, to treat behavioral issues in children and to treat insomnia in adults. Doctors should not prescribe anti-psychotic medications to patients for any reason unless a comprehensive initial evaluation has been undertaken. When anti-psychotics are prescribed, the patient should be carefully monitored including documenting the dose of the drugs; re-evaluating their use frequently; assessing adverse effects; and checking vital signs regularly. Doctors should not routinely prescribe two or more anti-psychotics concurrently. In between four and 35 percent of outpatients and 30 to 50 percent of inpatients, two or more anti-psychotics are commonly used at the same time. 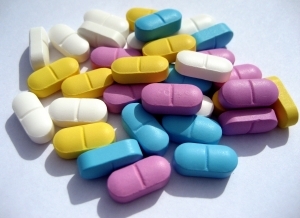 Doctors shouldn’t use anti-psychotics as the first choice in treating dementia symptoms. Non-pharmacological measures should be tried first and anti-psychotics should be used only when these measures fail and when the patient is a danger to himself or others. Doctors shouldn’t use anti-psychotics as a first-line treatment for insomnia in adults or behavioral disorders in children. Doctors and patients should focus on the information made available as part of the Choosing Wisely Campaign and should carefully assess whether prescribing a drug is worth the risks that the drug could present. If you or a loved one was injured by a dangerous drug, call the Law Offices of Jeffrey S. Glassman for a free and confidential appointment — 1-888-367-2900. Boston Malpractice Cases Could Stem from Painkiller Overdoses, Boston Personal Injury Lawyer Blog, March 16, 2013.